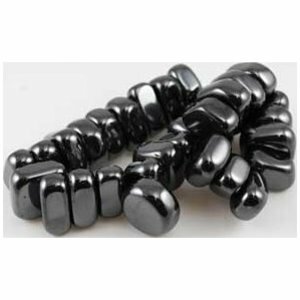 These magnetic tumbled Hematite stones have been magnetized, leaving them attracted to metal (and each other!) with the tenacity of a strong refrigerator magnet. Use them in your healing practice to relieve pain and stress. Quantities and sizes vary: stones 3/4" with 25 - 30 stones per pound.